Perhaps the most recognized symbol of Geneva is the water jet in Lake Geneva. It shoots water into the air with incredible force, as high as 450 feet. At any point in time 7 tons of water are in the air. It runs “most” of the time with no discernible schedule except that it may be turned off during high winds. It began in 1886 with the practical purpose of relieving pressure on the city’s water station. When it became something of an attraction it was upgraded twice with the current jet in operation since 1951. The city is very attractive, sitting on the west shore of the lake and with the Rhône River running through it dividing it into distinct neighborhoods. On the left bank, rive gauche, mainstream shopping districts, Rive and Eaux-Vives climb from the water to Vieille Ville, the old town. On the right bank, rive droite, there is the district of Pâquis, the train station and the international quarter with most world organizations. We had a hotel on the shore of the right bank affording a nice view of the river and beyond. The photo above is from our hotel room. The Old Town of Geneva is an appealing reminder of its fortified, medieval past. 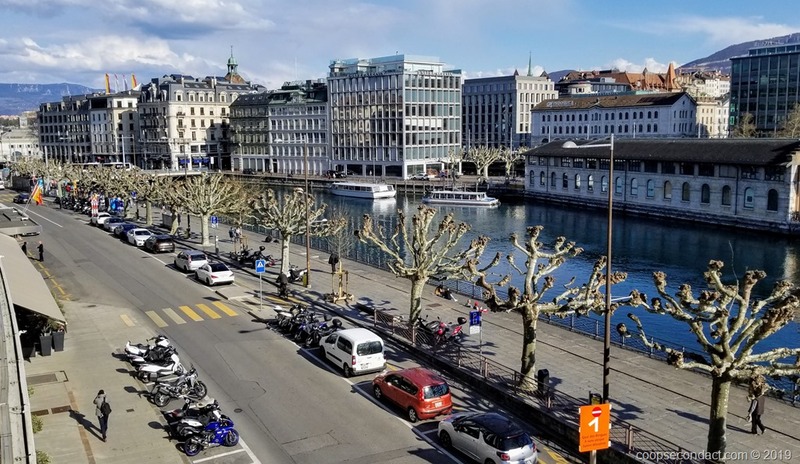 There is a small museum in the Old Town, Maison Travel, which is housed in the oldest private residence in Geneva, dating from the mid-14th century. 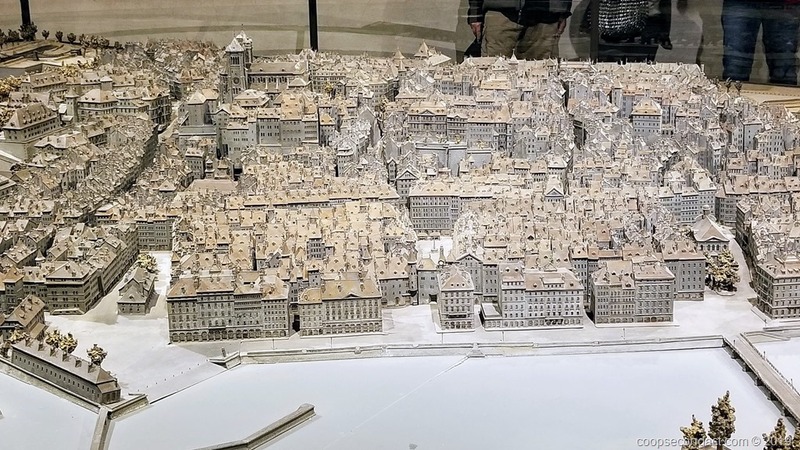 On the top floor of the museum they have the “Magnin Relief Model” which shows an overview of Geneva in 1850 before the destruction of its fortifications. Architect Auguste Magnin spent 18 years creating this imposing relief model. The houses and fortifications are in zinc, and the roofs in copper. It is particularly impressive given that Magnin did not have the benefit of any aerial view of the city to guide him. We visited the Musée d’Ethnographie de Genève, whose permanent collection is referred to as “The Archives of Human Diversity”, which examines the similarities and differences of our planet’s many cultures. It showcases around 1,000 artifacts from the museum’s 80,000 total items. It is very interesting to see the variety of items including musical instruments, items used for ceremony or ritual and those used for storytelling. 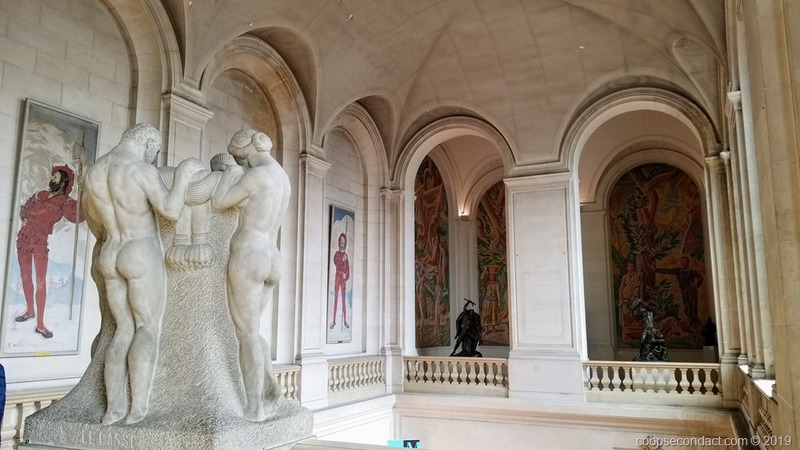 The Museum of Art and History in Geneva is a huge museum with over 1 million exposition pieces that seeks to capture the history of western civilization from ancient times to modern day. The museum is housed in a beautiful building built by architect Marc Camoletti between 1903 and 1910. The fine arts section has a variety of paintings including some from Van Gogh and Renior. There is an extensive archeological section with artifacts from ancient Egypt, the Near East and Roman and pre-Roman Italy. The complete interior furnishing and wood paneling from several rooms of the Lower Castle Zizers have been built into the museum. And now, a word about food. Last year, the bank UBS checked the cost of a standard shopping basket of food in cities around the world. They found the most expensive city to be Geneva, Switzerland. You had to get down to #7 to get the most expensive city in the US, New York. The basket of food cost $706 in Geneva and $479 in New York. With that in mind, we did try some of the regional favorites, one of which is Rösti, which is shredded potatoes roasted to crispy perfection with various toppings. It dates from the early 1800’s when people would shred potatoes, fry them and top with leftovers from the night before. 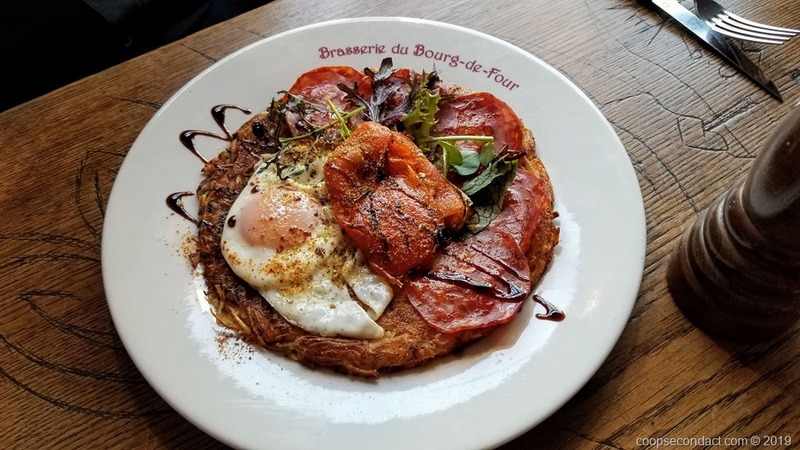 We tried Rösti at Café du Bourg-de-Four who is known to have an excellent variety.